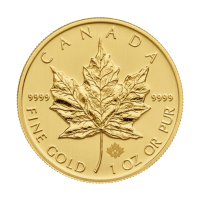 Purchase a 1 oz Canadian Maple Leaf Silver Coin online at the best price. 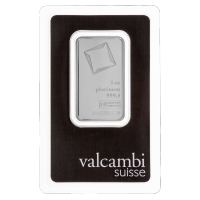 We ship this silver coin with 9999 purity worldwide, your order may qualify for free shipping! 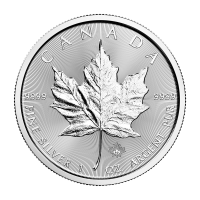 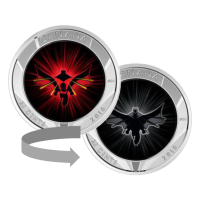 A favourite of investors, this silver coin has been released annually by the Royal Canadian Mint since 1988. 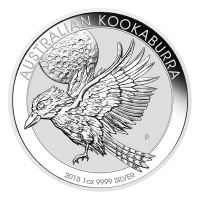 Its obverse features an effigy of Queen Elizabeth II and the words "Elizabeth II 5 Dollars 2017". 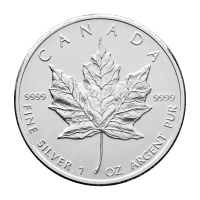 The reverse features the famous maple leaf emblem with the words "Canada 9999 Fine Silver 1 oz Argent Pur 9999" . 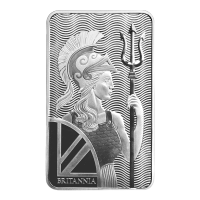 For greater security, it features micro-engraved radial lines and a laser mint mark that makes it hard to counterfeit. 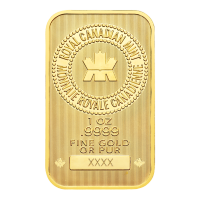 وجه العملة تمثال للملكة اليزابيث الثانية وعبارة "Elizabeth II 5 Dollars 2017"
ظهر العملة ورقة قيقب وعبارة "Canada 9999 Fine Silver 1 oz Argent Pur 9999"
تمثال للملكة اليزابيث الثانية وعبارة "Elizabeth II 5 Dollars 2017"
ورقة قيقب وعبارة "Canada 9999 Fine Silver 1 oz Argent Pur 9999"